Self-motivation, hard work and a continual drive to be her best wins Claire Smith the Insurance Institute of Southampton Achiever Award 2017. Find out what it takes to shine in the insurance industry. 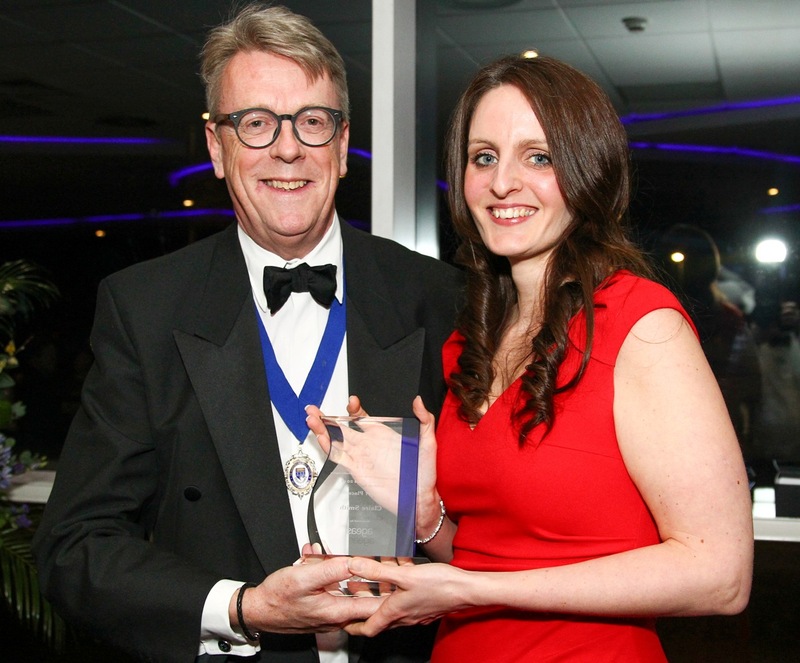 When Claire Smith made her way to collect the Insurance Institute of Southampton Achiever Award 2017 at the finalists’ dinner on 23 February 2018 she stood out as a rising star in the industry. Claire, who’s an assistant fraud and risk quality underwriter at Ageas’s Eastleigh office, beat two male finalists to win the Insurance Institute of Southampton Achiever Award 2017. Claire met all the judging criteria to win the award, which included a cash prize and trophy. She’d demonstrated outstanding performance in her role, while working toward her Certificate Qualification (Cert CII), and contributed considerably to increasing insurance professionalism within the local area. Claire started at Ageas 10 years ago in what was the Age Concern call centre. She then moved to Motor Claims and on to Personal Injury Claims, which she stayed in for six years, before joining the Fraud and Quality team over a year ago. Although classed as a trainee, Claire was soon running daily reports and doing administration, document validations, claim referrals and standard fraud case handling. She identified two new trends and produced two operational reports along the way. She also took on tasks related to the underwriter role, including complex case handling and claim reviews, and provided excellent feedback used in a business case. As if that wasn’t enough, Claire started SQL/SAS training, began studying for the Cert CII and participated in our internal development programme, Career Catalyst, which she completed in December 2017. Claire’s self-motivation shines through in all that she does, whether in work or outside. In the 12 months covered by the award, she also rallied her department to undertake a three-month Walking Challenge aimed at 10,000 steps a day, organised a Bake Off and steered her team to raise £3,400 for The Stroke Association. She has also just subscribed to the Women in Insurance (WIN) programme. Her reasons for joining offer another big clue as to why she’s progressed so far. So, what other tips would Claire give to others who want to progress in Ageas? She said: “During the Career Catalyst programme, senior people were brought in from other departments to talk about how they got started. I remember one of them saying ‘just say yes to every opportunity’, and that’s what I like to do. At Ageas, we support women’s career development and encourage inclusion. Although there were more dinner jackets than dresses at the award ceremony, it’s clear the industry has a long way to go.